Publicly-traded companies are a big part of world economic activity. However, most of the world’s goods, services, and jobs are generated by privately held companies (including large, medium-sized, and smaller companies), not-for-profit enterprises (including foundations, schools, and religious institutions), and government organizations (airports, ports, municipal governments, agencies, etc.). CSRHub’s mission is to provide transparent information on the social performance of all types of enterprises. This past month, we have begun to offer ratings on a number of private and government organizations. Why couldn’t we do this before? The original pressure for revealing social performance data came from investors who wanted to put their money only into companies that had a positive social impact. These investors supported the work of financial analyst groups, encouraged the rise of reporting systems such as the Global Reporting Initiative, and helped fund not for profit groups like the Carbon Disclosure Project (which has recently re-christened itself “CDP”). These systems tended to focus on the largest and most widely-held companies—the ones that large investors most wanted to know about. Competitive pressures—and investor interest in investing in smaller growth companies and public companies in less-developed economies—has caused the coverage universe of financially driven research to expand. Some of our data partners now claim to track the social performance of 30,000 publicly-traded companies. At the same time, a growing number of non-public organizations have begun reporting data on their sustainability performance. For example, we estimate that about 1,800 non-public organizations filed Global Reporting Initiative (GRI) reports in 2012, as did at least a thousand of the 5,000 reports offered via CDP. Two additional sources of data have emerged on non-public companies over the past few years. One is crowd source/user contributed data feeds. Employee opinions about 110,000 companies come from Glassdoor, sustainability-oriented user ratings on 5,000 companies come from GoodGuide/ULE and more than 30,000 products and companies come from WeGreen, data on the brand value of 5,000+ organizations derive from Brand Finance, and 27 measures of risk on 32,800 companies, 7,000 projects, 5,300 NGOs and 4,500 governmental bodies come via RepRisk. Some of these sources receive fees from investors, some are supported by donors, and some generate revenue from selling services such as job ads or consulting. The second new source arises from the effort by major companies to improve the sustainability of their supply chains. Engagement from a company’s supply chain is vital to meet announced sustainability goals (e.g., a 20% reduction in carbon use) or respond to pressure from social groups on water user, treatment of indigenous peoples, child labor, etc. Using software systems from firms such as Source 44, OneReport, Credit360, Enablon, Eco-Vadis, CSRware, and others, large companies gather huge databases of sustainability data on their own operations and on their suppliers—many of whom are not publicly traded. Industry organizations (e.g., EICC, The Sustainability Consortium, SEDEX, and Sustainable Packaging Coalition) help by providing standard questionnaires and by allowing their members to share data and supply chain audits. When we add data from some of these new sources to the information we obtain from other more conventional inputs, we can rate almost 200 non-public companies and organizations. The initial list includes companies such as Deloitte, PricewaterhouseCoopers, Levi Strauss, S. C. Johnson, and TIAA CREF. We also have partial ratings on McKinsey & Company, The US Postal Service, and Finnair. As a group, our non-public companies have a respectable average rating (using our average user profile) of 55.5—seven points above the average for all companies of 48.5. This good performance makes sense—the first non-public organizations to report are likely to be those who have good social performance and who want others to know about it. We expect the next wave of smaller organizations and government groups to bring this average down—just as smaller public company scores lag behind those of bigger public companies. We also expect the number of sources on non-public organizations to converge towards the average for publicly-traded organization of about eight sources. Reward non-public organizations who report—even if their scores still are not as good as we might like—by giving them your business and your attention. Encourage anyone who collects information to allow the groups they collect their data from to control their own data and to have the option of sharing it. It is unfair for big companies to require their supply chain components to pay to gather and report data, but to not get further value from their work. Our long term goal is to provide a CSRHub rating for any type of organization—public, private, or governmental—of any size, in any location. To reach our goal, we need your help to encourage all organizations to report their social performance and to make available more of the data that has already been collected in various sustainability tracking systems. Janice Warren, President, OneReport, Inc.
NEW PALTZ, NEW YORK AND BRATTLEBORO, VERMONT—January 28, 2013—CSRHub LLC and OneReport, Inc., both leading providers of corporate responsibility information services, are pleased to announce a new marketing and services agreement. Through this agreement, CSRHub and OneReport will cross-promote and offer discounts to clients on their respective services. 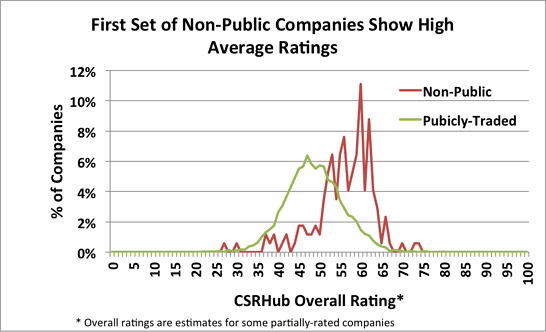 OneReport will also embed selected CSRHub tools in the OneReport platform, providing options for OneReport clients to access limited CSR ratings of themselves and peer companies based on CSRHub’s scoring rubrics. CSRHub provides access to CSR data on nearly 7,000 companies from 200 sources across 135 industries, in 82 countries, creating more than 20 million data points of reporting output. Since 2003, OneReport’s online platform has helped organizations efficiently address corporate responsibility assessments by integrating the metrics of leading frameworks and ratings organizations, supporting internal data management and leveraging information for different stakeholders. “CSRHub is excited to partner with OneReport to help customers improve their CSR and sustainability reporting and communication to stakeholders,” said Cynthia Figge, Chief Operating Officer and Cofounder of CSRHub. For program details from a user or client perspective, see overviews for OneReport and CSRHub. Current clients may access options for tailored services and further discounts. 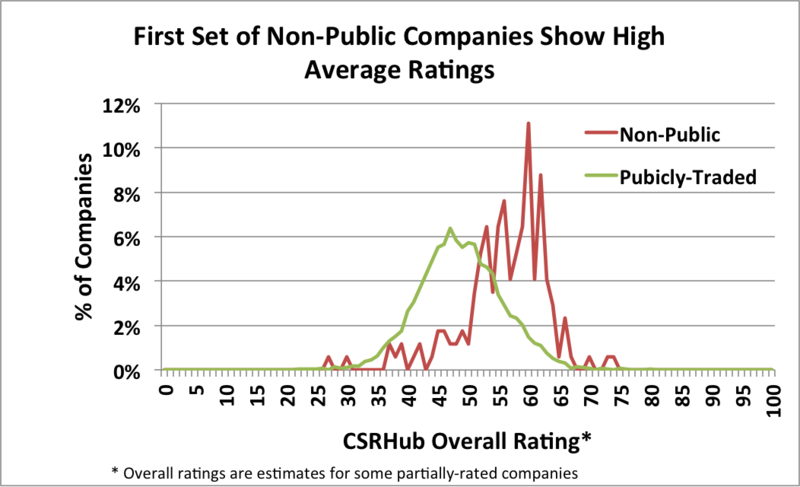 CSRHub creates simple, direct comparisons of Corporate Social Responsibility (CSR) and Sustainability performance among competitors and across supply chains, industry, and regions. It reinforces third-party standards and encourages transparency and responsible behavior.